This blog invites your posts, comments, blowback on the subject of what we regard to be the inevitable progressive future of the USA. Reform and concern for the poor and middle class and great equity and fairness in the economic, social and legal systems of your country are going to come. They will come in fits and starts at first, then more rapidly. Clinton, 1993-2001, was the first “Progressive light” Democratic partner since Carter. the navigation buttons) and Dr. Arthur Lerman, is developing out of the ideas, writing, and responses seen on the blog itself. We invite your participation, ask for any and all comments, and ask for you to return here and Have Fun! 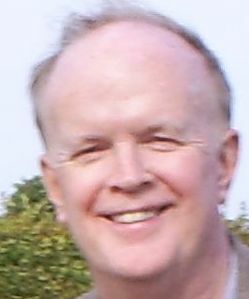 Frederick L. Shiels, Professor/Ph.D., (has) headed the Model United Nations program at Mercy College for 25 of his 33 years there. He has been Adjunct Professor at Baruch College, Long Island University, and Marist College. He teaches the theory and practice of diplomacy, research, and self presentation in classes on International Organizations, International Relations, American Foreign Policy and U.S. history and politics. His research specialty has been the American Presidency, but he has branched out into studies of Japan, nuclear weapons control, the Baltic States, and Civilian casualties. The author and editor of five books and numerous articles, he taught in Japan and Latvia for the Fulbright program. He has traveled to 34 countries and encourages students to travel in an informed and happily curious way, and to engage the world through lifelong study, with stress on clear speaking and writing, and the use of new technologies in preparing for international careers– or any career.